Climates: Empowering communities to address climate change together! "I had been working for four years as an economist in the Victorian treasury department in what I thought was my dream role - both engaging and flexible enough to allow for my jaunts out to explore the Pacific. However, I felt unfulfilled like the role wasn’t true to who I am, and that I had more to give. Fascinated by the notion of living within the bounds of what one’s land can produce, I wanted to learn from our island neighbours to understand how they lived in relative harmony with each other and with nature. This drove me to spend a year volunteering in the Economics Department at the Tongan central bank. I had only begun to scratch the surface of appreciating the connection between community and nature, and people’s dependency on each other before my assignment ended. 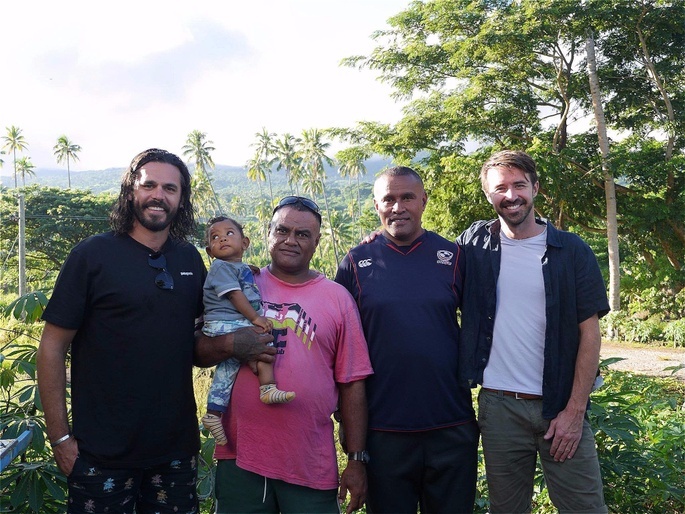 By sharing hardship and celebration, the Tongan people showed me how they build resilient communities that have a fighting chance to tackle even the most colossal of environmental threats. This also led me to wonder what Australia must look like from the outside. I wanted the Australian public to appreciate what makes the Pacific great, so that we can learn together and work together to protect it. Upon returning from my assignment, I co-founded Climates - a community committed to establishing friendships and strengthening people-to-people connections across our region, so that we can build climate resilience together. Today, we work alongside communities who are driving groundbreaking work in climate adaptation, mitigation and advocacy. We have engaged private sector partners on this endeavour, acknowledging the increasingly important role they play in resourcing the rate and scale of change that is needed. We do this with humility and compassion, elevating the voices of those who too often go unheard, and bring their messages and lessons to be shared by all."